How do you empower engineers to design the best products possible? 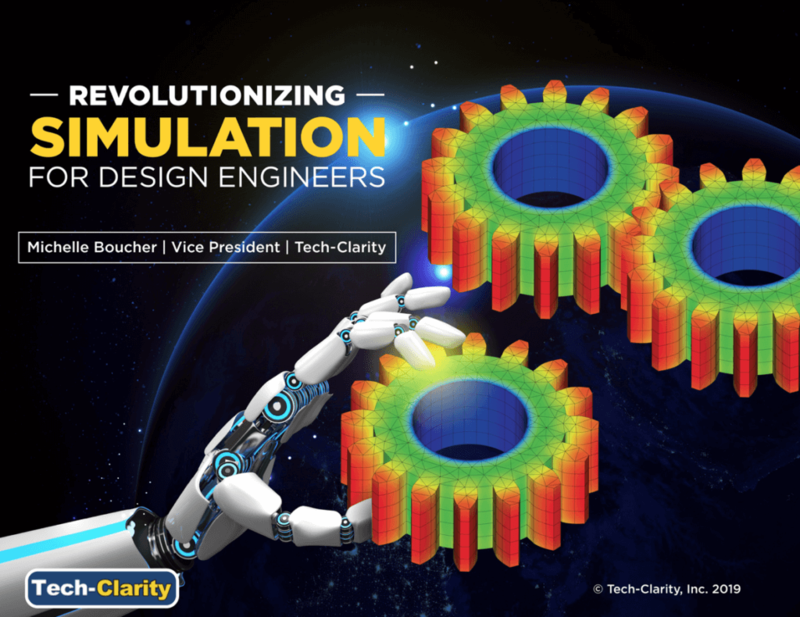 Research from Tech-Clarity’s Revolutionizing Simulation For Design Engineers research report finds that design engineers lack confidence in design decisions 28% of the time. The research identifies the most common ways engineers deal with this uncertainty, its impact, and how to improve confidence. This research study, based on a survey of 195 companies, examines the design process and identifies top challenges that hold engineers back. The report reveals how to empower engineers with insight to improve product quality, lower cost, and accelerate time-to-market, all while developing more innovative products. Please enjoy the summary* below. For the full research report, please visit our sponsor PTC (free of charge, registration required). Engineers want to design great products. Unfortunately, factors like increasing product complexity, competing design criteria, and knowing how design decisions impact other parts of the design make it hard. On top of this, ever-shrinking timelines mean engineers have their work cut out for them. Yet, exceptional engineering has become critical to success in today’s competitive global market. WHAT’S MOST IMPORTANT FOR YOUR PRODUCT’S MARKET SUCCESS? As companies face mounting pressure from global competitors, engineering criteria have become essential to competitively differentiate products. In fact, 80% of survey respondents believe that product quality is the most important product attribute to keep products competitive (see graph). Reliability and cost come next. This indicates customers have high expectations for quality and durability but don’t want to overpay. To be successful, companies should balance these criteria. Requirements for quality, reliability, and cost often conflict so balancing them is no small feat. Unfortunately, product complexity makes it hard for engineers to know the full impact of each design decision. Indeed, 76% of survey respondents rate design decisions that impact product competitiveness as ‘somewhat hard’ to ‘extremely difficult.’ This leads many engineers to overengineer, which unfortunately drives up cost. Companies who can make this decision process easier will have an advantage. Empower design engineers with simulation tools to help guide their decisions. Use simulation as early as possible during concept and design. Rely on simulation as a design tool to optimize the design and provide directional guidance. Consider new approaches to simulation that are tailored for design engineers and make setting up an analysis easier. Look for a simulation solution that can offer instant results. *This summary is an abbreviated version of the report and does not contain the full content. A link to download the full report is available above. If you have difficulty obtaining a copy of the research, please contact us using the “Contact” link below.